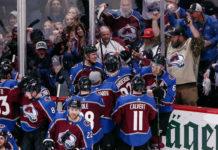 Though the NHL trade deadline is still a little over a week away, the Colorado Avalanche have already begun moving and shaking. 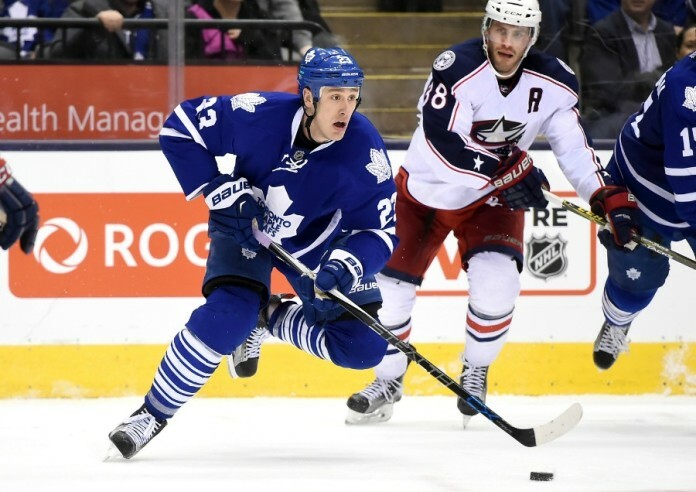 On Sunday, they acquired center Shawn Matthias from the Toronto Maple Leafs in exchange for forward Colin Smith and a fourth-round selection in the 2016 NHL Entry Draft. The 28-year-old Matthias can play both center and left wing. 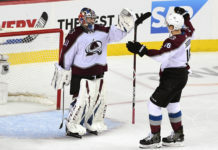 At 6-foot-4 and 231 pounds, he is now the biggest forward on the Avalanche roster. In addition to the physicality you would expect from a player of his size, he also has some offense to his game. In 51 games for the lowly Leafs this season, he netted six goals and 17 points. He had his best offensive season last year, when he scored 18 goals for the Vancouver Canucks. The 22-year-old Smith was the Avalanche’s seventh-round selection (192 overall) in the 2012 NHL Entry Draft. He has spent the entirety of this season with the AHL’s San Antonio Rampage, where he has scored 13 goals and 34 points in 54 games. 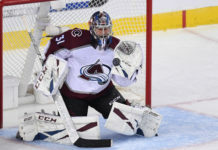 He made his NHL debut last season for the Avs, going scoreless in one game. Matthias has yet to join the Avalanche, as he remains in Canada to work out an issue with his visa. He will be an unrestricted free agent after the season, having signed a one-year deal with the Leafs last summer worth $2.3 million. Despite his pending free agency and Toronto’s lowly record, he was still caught off guard when he learned he had been traded. “I wasn’t expecting that phone call today but I’m excited to join the team and can’t wait to get started,” Matthias told the Denver Post.